Heed the call of the wild with this brand-new, action-packed animal fantasy series from the #1 nationally bestselling author of Warriors. Enter the Bravelands…and discover the Erin Hunter series you’ve been waiting for. 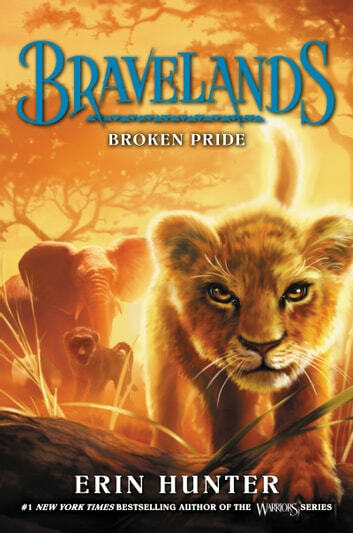 Set in an epic new world and told from three different animals’ points of view, Bravelands will thrill readers who love Spirit Animals and Wings of Fire, as well as the legion of dedicated fans who’ve made Erin Hunter a bestselling phenomenon. I grew up on the Warrior series, so I am used to a different structure and pace when it comes to Erin hunter books. The pacing was good, and while it didn't keep me enraptured like a Warriors book would, it was still good. I look forward to more books in tje series. This book is a great book for fans of big cats, the monkey family and giant animals. If you also like Erin Hunter, you can maybe check out the Warriors for cat lovers, Survivors for dog people and if you are crazy for bears, Seekers. Me, personally, I love Warriors so thats why I read Bravelands because of the lion. It wasn't good as Warriors but I still really liked the book. It's new and different. It still has the nail biting experience that I'm sure everyone will enjoy! This is one of the best Erin Hunter books I have ever read. I hope there are many more books written!!! This book is AWESOOOOOOOME!!! I definitly recomend it. It about a lion,a baboon, and an elephant. I sincerly apolygise for the vagueness of my review. The lion is named Fearless, and loses his dad leader of the pride in a unfair battle. He runs away, is carried off by an eagle and is saved by a baboon The baboon is Thorn. He lives in a troop with other baboons and his best friend Mud. As he discovers that the baboon he trusted the most did the most traitorous thing he could ever imagine, he is forced to stay quiet unless he wants to die. The young elephant is Sky; with an ability supirior to those of other elephants. They all live by one code: only kill to survive. But when the code is broken chaos is a mist and Bravelands may be ruled by evil.